Working from home can sound like the ideal lifestyle. Not having to deal with the peak hour commute, hundreds of passengers squeezed into the one place, unhappy with having to be out and about so early in the day. Then there are the packed lunches to contend with the night before. That’s if you have time to pack your lunch, with many people rushing to the closest food store to ensure they can get a quick bite to eat in the hour they receive for lunch. Some people are lucky enough to have the joy of missing all this as they work in careers that allow them to work from any place in the world. Have you ever wondered what it would be like to work from the local cafe, or better yet even from the comfort of your lounge? Have a look the six top jobs that offer the luxury of working from home while guaranteeing you always make good money. Selling products on eBay or SEO blogging is usually the first thing that springs to mind when people think of ways to earn online. Don’t have the skills, or the products, to successfully do these type of jobs? Don’t fret as there are other great opportunities. There are many other jobs out there that utilize other skill sets. Marketing, copywriting and general sales are other great alternatives for people who would lavish from someone who still needs the structure of having someone in charge, but still, benefit from working from home. Regardless of what your skill set is, you are sure to find the perfect role online. Technically, this is a job that is done online. However, there is an abundance of these jobs, so web development earns its place on this list. With the ability to choose clients from anywhere in the world, you can ensure you can work whatever hours you please. Maybe you’re a night owl? That is not a problem with this job, as you can choose the hours you work, and may even elect to accept clients in another hemisphere. Or maybe you have a family holiday coming up, and you can finish your job while lounging on the beach. Okay, it’s true. Teachers do work long hours, and most work from work as well as at home. However, some teachers provide distance education. 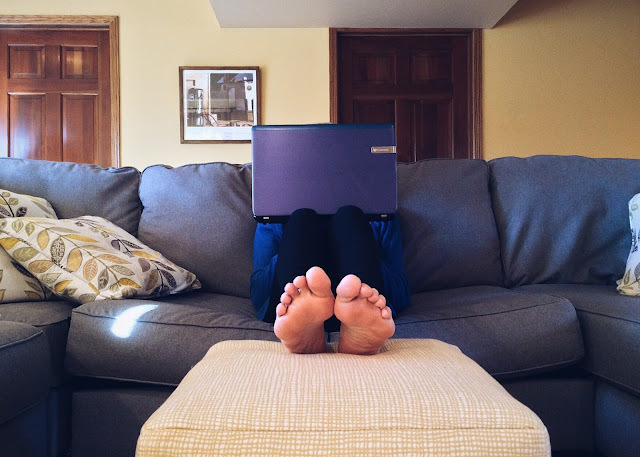 Whether it be elementary, secondary or tertiary, some teachers have the option of delivering their courses from the comfort of their home to students also in their own homes. Having a specialisation in an area can help with getting the perfect teaching position with these benefits. However, there are also opportunities for Native English speakers to earn money online by teaching English. Having your own business as a travel agent reaps the rewards. Not only will you find out when the cheapest flights are to some of the most exotic destinations, but you will also have the pleasure of working with people from all over the world. Whether you are booking a six month trip for someone or a weekend away, you can have the comfort of working anywhere you want. Just ensure you have access to a secure phone connection and the internet to assist with completing the job. Depending on your specialty, there is an abundance of employment for consultants who work from home. Although some roles may require leaving the lounge for meetings, you still have the flexibility for assigning these to a time that suits you. The majority of the work will be completed through phone calls, or via emails, however, these can be done anywhere within business hours. The role of a consultant is the perfect role for someone who may have children and want to be around for school drop-offs and pick-ups. An international recruiter is an excellent job that allows you to work at home some days. Some companies will require you to work from the office at times. However, you may also have the flexibility to work from home at the same time. Whether you work in education, sales, marketing, social work or web development, you will have the opportunity to work with an array of people and help them find their perfect job. As an international recruiter, you may have to work in an alternative time zone than your own, ensuring most of your job is done from home and communication is through Skype, emails or phone calls. You may even have the opportunity to travel to international destinations to meet your prospective clients.